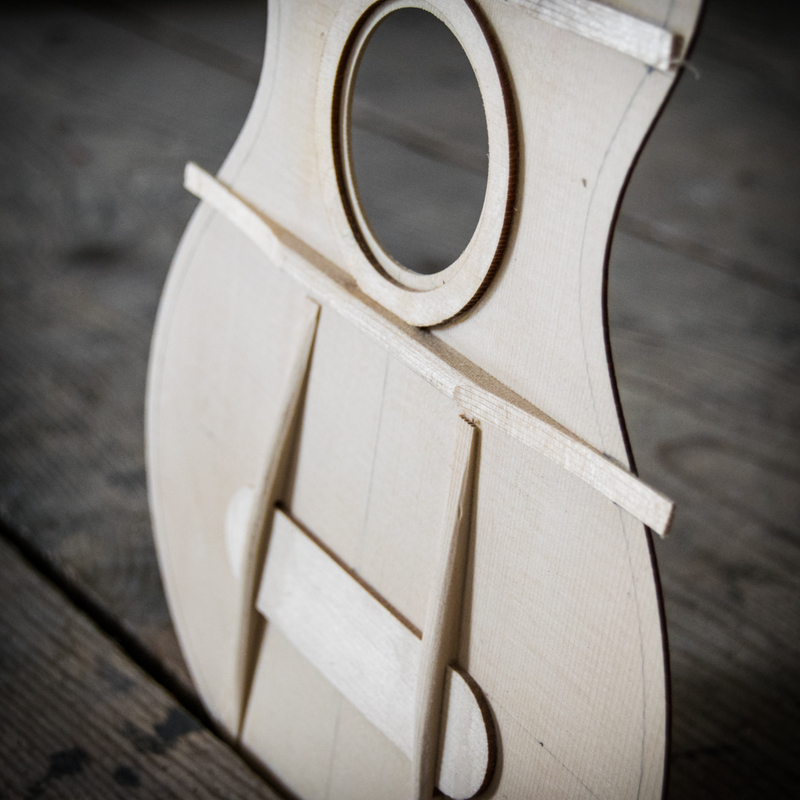 Therse are the features you’ll find in my ukuleles. 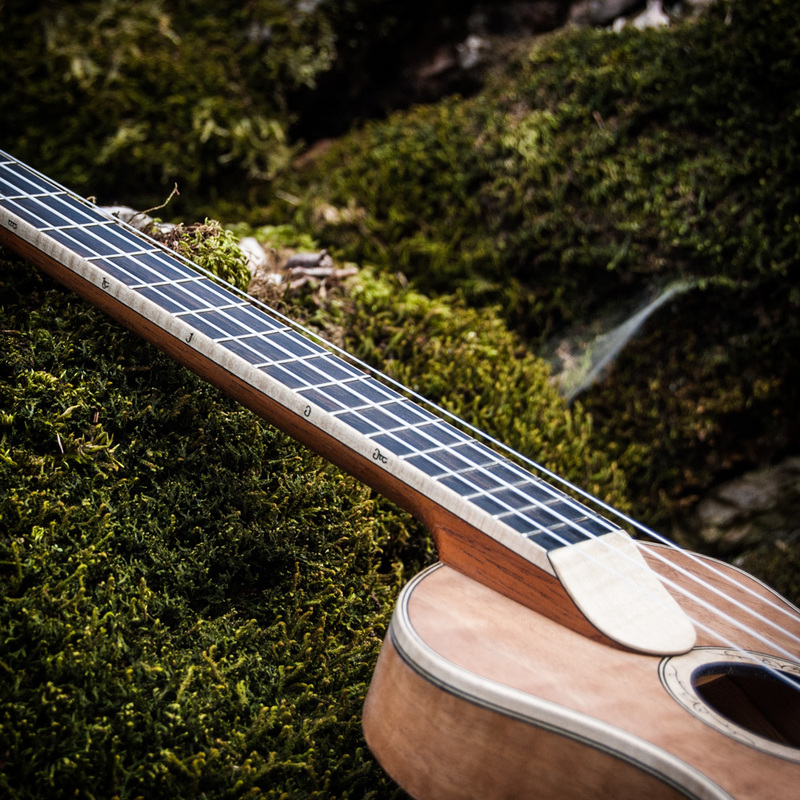 I think it is important to build light acoustic instruments, this is why I keep small thicknesses on my soundboards and backs, so they are free to vibrate. My goal to reach a good volume while keeping the body shape thin and elegant. I put a stiff carbon bar inside of my ukuleles’ necks, it helps prevent undesidered torsions and it also provides a greater sustain. 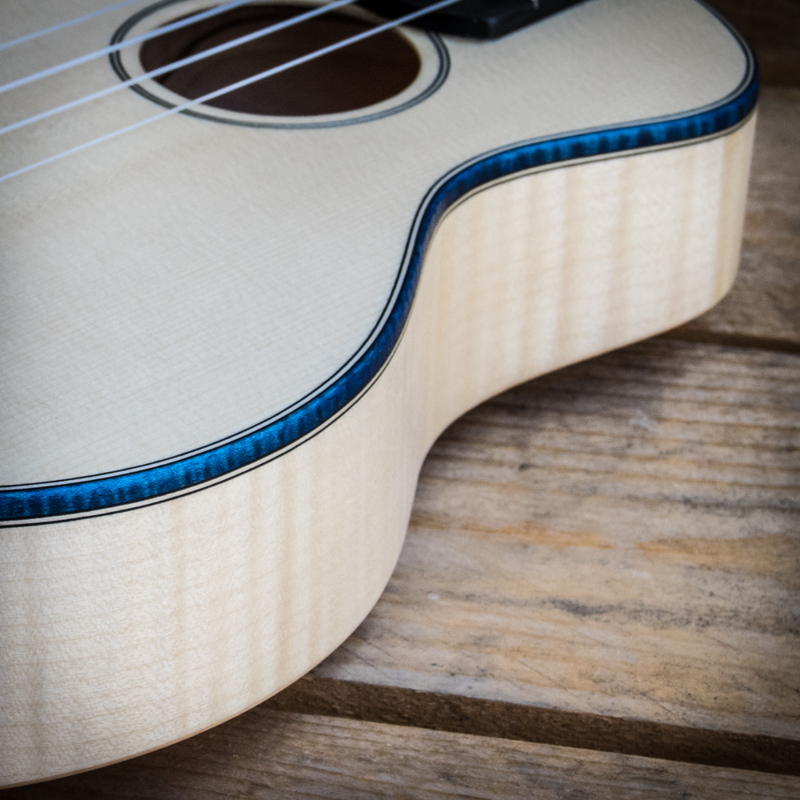 The installed binding is soaked with water based UV resistant stains, this gives the maple unnatural and contrastant colors: red, blue, green…You can add complexity to that tones by layering different glazes after sanding the preview ones. 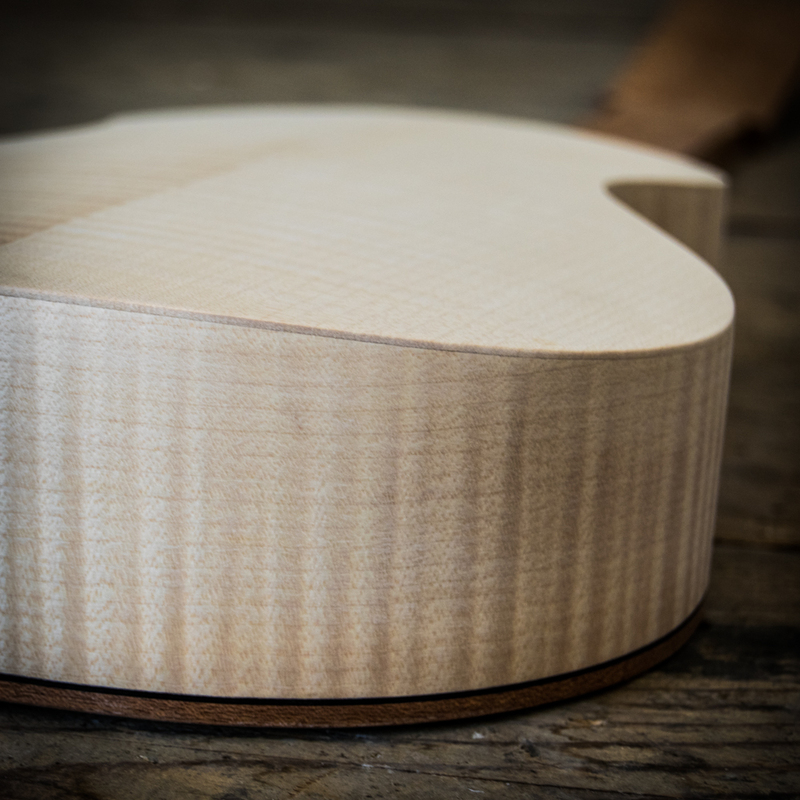 I build very arched back on my ukuleles. 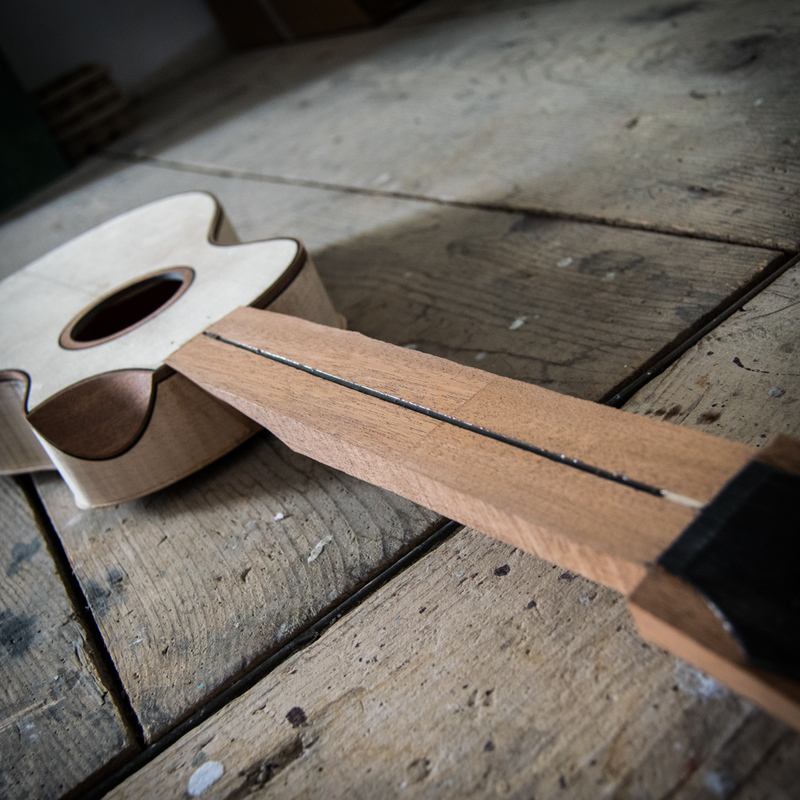 The braces are shaped with a custom radius: I glue the thin back on them to obtain rigidity while maintaining its lightness of the instrument. 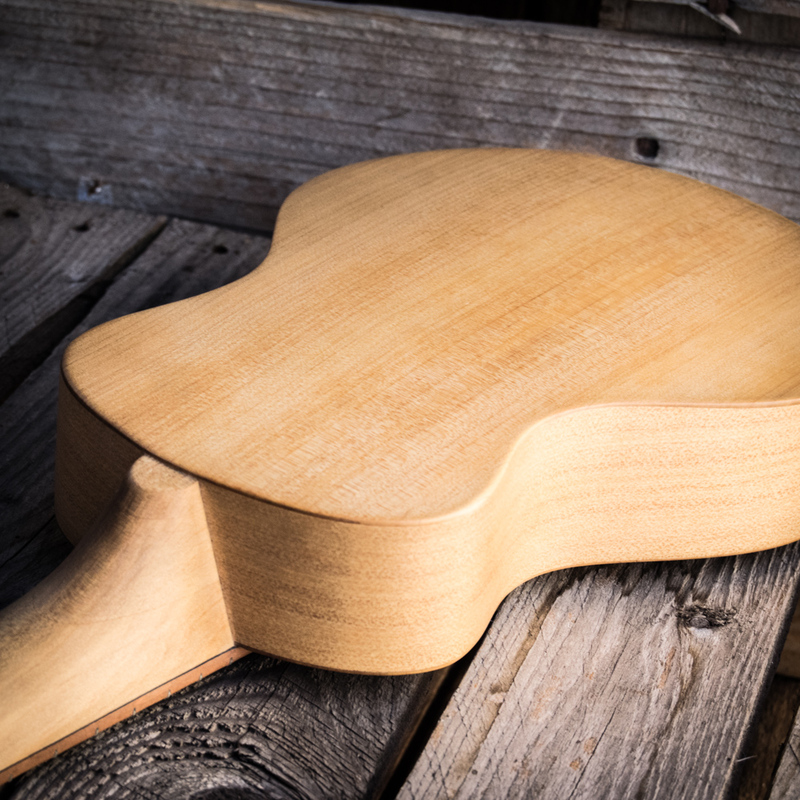 In some of my custom models (ELVISH UKES) I used this unusal technique that consist in a positive angle of the neck.